If you are storing hard boiled eggs in the same carton as your raw ones, marking will remove the confusion and prevent an accidental mess in the kitchen. 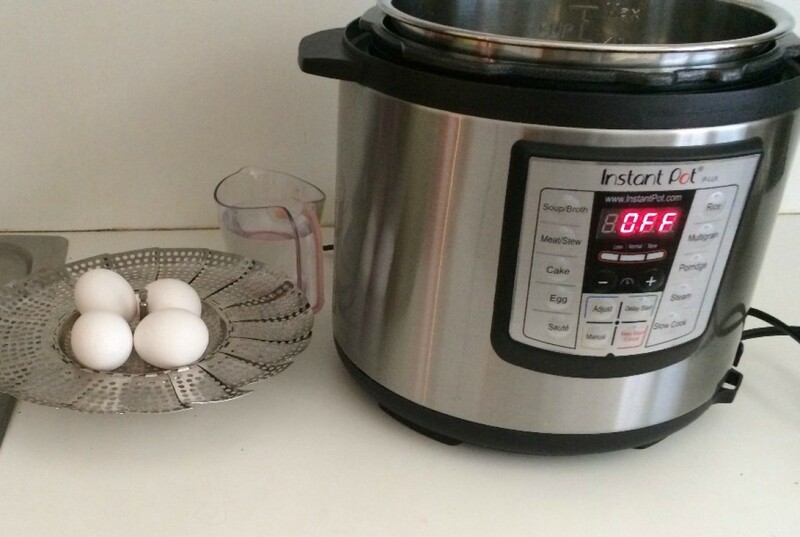 This is a guide about marking hard boiled eggs. To keep track of hard-boiled eggs in the fridge, add a few drops of food coloring to the boiling water. 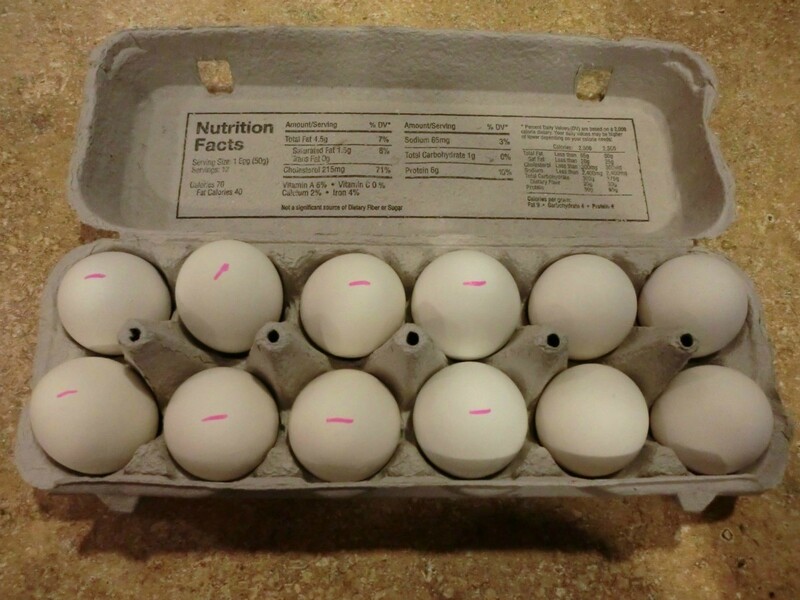 My family knows that the tinted eggs are ready for eating. OK, you've brought some eggs home from the grocery store and just hard-boiled some up for later use. But now that they are done, how do you store them and tell them from the raw eggs in the fridge? Here's a tip I learned from my mom way back when I was a kid. The first time I saw her doing it I thought she had lost her marbles! She simply marked both ends of the hard boiled egg with pencil scribbles! That's it. Then she could tell the boiled ones from the raw ones. I happened to think of this only because I just finished boiling some up for myself and marked them. It's funny the little things we pick up from our parents and never even think about, isn't it? Have you ever had both boiled eggs and fresh ones in the refrigerator and couldn't remember which was which? I take a pen or pencil and write a B on all my boiled eggs and eliminate this problem. Make hard-boiled eggs easier to distinguish from the raw ones in your refrigerator. Just add onion skins to the boiling water with the eggs, and the eggshells will turn a pretty orange-brown color. Keep this in mind, too, as an option for dying some Easter eggs.